In discrete locations of the adult brain, new neurons are born from stem cells that differentiate, migrate, and integrate into the existing neural network. This process is implicated in normal brain functions such as memory formation and is disrupted in many disease states, including Alzheimer's, schizophrenia, and depression. Written and edited by experts in the field, this collection from Cold Spring Harbor Perspectives in Biology provides a state-of-the-art account of the sophisticated neurogenic processes in the adult mammalian brain—particularly in the hippocampus and olfactory bulb. Contributors review the properties of neural precursor subtypes, the molecular mechanisms that underlie their maturation, the influence of external stimuli (e.g., exercise), the functions of the newborn neurons in the brain, and the factors that determine their survival or elimination. 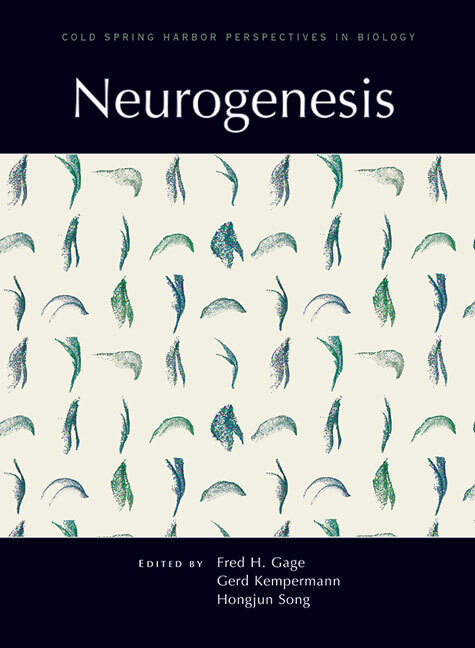 The differences between embryonic and adult neurogenesis, noncanonical sites of neurogenesis, and evolutionary aspects of neurogenesis are discussed, as are methods and models for studying neurogenic processes. The authors also explore how neurogenesis is disrupted in various neurological and psychiatric diseases, as well as the potential to harness neurogenic processes for therapeutic interventions (e.g., repairing a stroke-damaged brain). This volume will therefore be useful for neurobiologists, cell and developmental biologists, and those with clinical interests.